South Africa has been an active participant in the exploration of space since the dawn of the Space Age. From the 1950's to the 1970's satellites were tracked to determine the effects of the upper atmosphere on their orbits. Lunar and interplanetary missions were supported from a tracking station at Hartebeesthoek (about 50 km northwest of Johannesburg). This station received the images of the planet Mars taken by the Mariner IV spacecraft - the first close-up images of Mars and also the first close-up images of another planet to be received on Earth. South African ground-based facilities have continued to support various space missions ever since. South Africa initiated its first space programme in the 1980s. The objective of this programme was to develop an Earth observation satellite and a launcher, and all the necessary facilities to support these activities. Satellite integration and testing facilities were constructed at Grabouw in the Western Cape, about 70 km west of Cape Town. The launch facility was established at Arniston, on the Cape South coast, about 180 km west of Cape Town. This allowed for east to polar launches. Considerable capabilities were developed in South African industry to support this programme. This programme was discontinued in 1994, before any satellites were launched, and the facilities were redirected towards other uses. 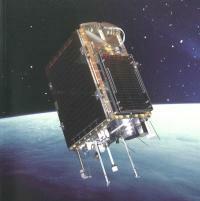 In February 1999 South Africa’s first satellite, Sunsat-1, was launched. This 64-kg microsatellite was built by staff and students at the University of Stellenbosch. The satellite was launched as a secondary payload on a United States launcher. The satellite operated successfully for 2 years in low earth orbit and took numerous multispectral images at 15 meter GSD of our planet from space. The team that built Sunsat-1 established the Sunspace company to further develop and market some of the microsatellite technologies pioneered with Sunsat-1. The company has supplied a number of satellite subsystems and also complete satellites to various clients. In July 2013 the capabilities and intellectual property of SunSpace were transferred to Denel Dynamics, with the creation of a new entity in the Denel Group, SpaceTeq. In 2005 the Department of Science and Technology initiated a three-year satellite programme. The main goal of the programme was capacity building in all aspects of a typical space mission. The University of Stellenbosch was appointed to manage this programme and Sunspace was appointed as contractor to provide the satellite. The satellite was designed, built and tested in South Africa by more than 40 local companies, demonstrating the capability of South African industry to support a national space programme. This satellite, named Sumbandila (meaning "Pathfinder" in the local Venda language_ was launched in September 2009 and was operated until mid-2011. Sumbandila produced over 1100 high-quality images of the Earth, which have been made available to local researchers. However, the principal and enduring legacy of the Sumbandila mission is the human capital development in all the scientific, technical, policy and regulatory aspects of conducting a space activity. South Africa has a variety of institutions that play a significant role in the scientific study, exploration and utilisation of space. These institutions, situated in academia, the science councils and industry, have broad competencies in satellite applications, satellite engineering and space science, and all their supporting technologies. A recent audit of the South African industry shows that the annual turnover for industry and public sector institutions involved in space activities is of order $20M. Some 180 – 200 people are currently involved in space-related activities of one sort or another. The existing infrastructure and skilled workforce, both inside these facilities and in wider industry supporting them, allow South Africa to position itself as a regional hub of space science and technology. This can be used as a basis for strengthening ties with industry in established space-faring nations, and for developing links with other emerging national space initiatives, particularly in Africa. The hub of space activities in South Africa is the Western Cape. This region hosts the facilities developed for the previous space programme, as well as a number of universities, government research laboratories and many high-tech companies. The universities in the region have competencies in satellite engineering, satellite operations, optical instrumentation design and testing, synthetic aperture radar systems and data processing, as well as space policy and space law. South Africa is active participant in the international space arena. 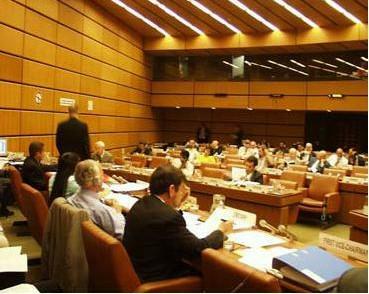 South African space professionals participate in numerous specialist and political forums, such as the United Nations Committee on the Committee on the Peaceful Uses of Outer Space. South Africa is one of the co-chairs of the Group on Earth Observations (GEO) and the 2007 chair of the Committee on Earth Observation Satellites (CEOS). Space activities in South Africa are regulated in terms of the Space Affairs Act (Act 84 of 1993). The South African Council for Space Affairs (SACSA), established under the Act, is responsible for representing South Africa in international intergovernmental fora dealing with space affairs and for the authorisation, licencing and supervision of space activities in South Africa. The South African National Space Agency (SANSA) was established in 2010 to coordinate and implement the national space programme. SANSA falls under the Department of Science and Technology. SANSA is the lead agency for establishing and implementing agency-level space cooperation agreements with the space agencies of other countries. Civil society is also playing an increasing role in the development of the space arena in South Africa, with a growing number of academic and research institutions and private sector entities becoming involved in space-related activities. The South African Space Association (SASA) is a civil society organisation that brings space professionals from government, industry and academia to exchange information about their various activities. The UCT Student Chapter of SASA is an active student organisation that promotes space awareness among students and the local youth. The South African National Space Policy provides the overarching guidance for the conduct of space activities, which are to be carried out in support of national priorities, particularly with regard to issues of poverty reduction, economic opportunity, technological empowerment and improved quality of life.